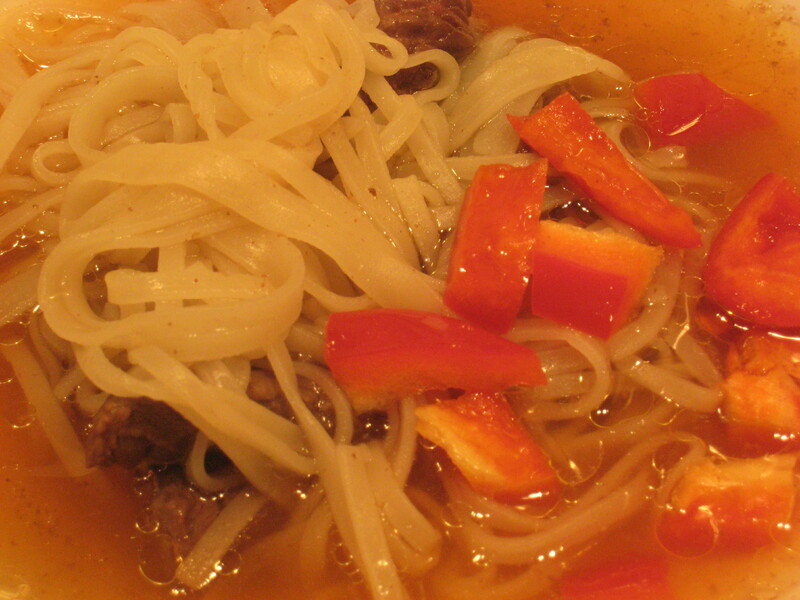 I love, love asian noodle soups and wanted to make my own version. This can be done in many ways, next time I will use chicken and broccoli. The brown rice noodles were a great find and you may want to seek them out at the large chain health food store whose name I shall not mention. Combine all three and then add bok choy (I used bell pepper in the picture but I think bok choy or another green would have worked much better).